Headlining the main room DJ PREACH, we are massively excited to welcome DJ PREACH, all the way from Canada for his first EVER London appearance. DJ PREACH has been making huge waves on the international scene from closing the massive Dance Valley festival in front of crowds of 40 thousand to smashing dance floors in America, Germany, South America and all over the world, pushing the boundaries of dance music with a sound that won’t be out of place on the most driving of dance floors, hard and funky all the way baby! 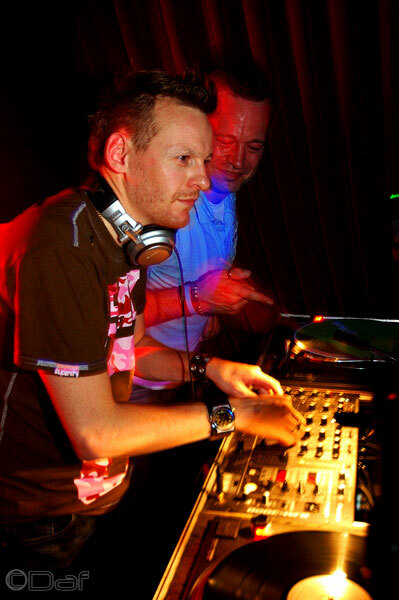 DJ PREACH is being joined by techno legend BILLY NASTY, alongside the undisputable king of hard dance ANDY FARLEY. SAM TOWNEND from Housewives Choice fame makes the trip from Leeds and Proactive resident the *TING* battles it out with Riot! head honcho and all round party animal ED REAL, to finish us all off in true Party Proactive style! In the legendary T2 we promise a cocktail of tuff house and electro, with the one and only house music star GUY WILLIAMS, resident for the infamous Blue Cube events, including DTPM at Fabric and Fiction at the Cross. JAMES FITCH resident for Chameleon / Twitch makes his Proactive debut, the return of PAGANO promises to keep those feet stomping alongside the fantastic Proactive residents. After their storming Proactive debut in May which saw the VIP room heaving to one serious party vibe, FUNDAMENTAL are back! FUNDAMENTAL take over the Juno Room with special guests LOVE FISH, residents for legendary London House event, Fervormore. FUNK DELUXE, have been with Proactive from the start, from the road block Turnmills launch party, to the earth shaking Summer Session, FUNK DELUXE, know how to rock and our September event sees FUNK DELUXE returning to the lush surroundings of the VIP room!